So. Be inquisitive. Go around the back, poke about in corners, talk to people in pubs, walk up unlikely alleys…and you’ll find unexpected interest and delight. In Shipston-on-Stour the other day I was reminded of this as I passed an alleyway I’d glanced up on previous occasions. The building at the end is a former Baptist chapel.With Y-tracery windows and attractive banded masonry around the window heads, it’s a good if unobtrusive example of what a local builder could do in the mid-19th century. I was pleased to see that the chapel is mentioned in the newly revised edition of the Pevsner Buildings of England volume on Warwickshire† (it wasn’t in the first edition) – and the new book supplies a date for the building: 1866. It’s a quiet corner worth a few moments of anyone’s time. As I left the alleyway, though, I spotted something I’d never noticed before: next to some wiring, an old painted sign warning us of the consequences of smoking or ‘otherwise committing a nuisance in this entry’. The once-familiar street sign ‘Commit no nuisance’ was a command, aimed particularly at men leaving the pub and answering the call of nature in the street rather than holding out until the proper place is reached. Such signs are not common now, so I was pleased to find this one, put up by the chapel trustees maybe 100 years ago. The Pevsner book doesn’t mention it – its business is with architecture after all – but it’s a nice example of the rewards of keeping the eyes open, of being inquisitive, even in familiar places. *The Unofficial Countryside, which explores the animal and plant life of such apparently unpromising places as docks, canals, railways, factories, and waste land, originally appeared in 1973. I bought it a few years after it came out and it taught me as much about looking as any architecture book. There’s a good reprint available from Little Toller Books. 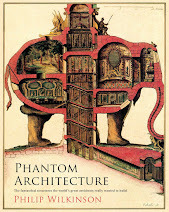 † I hope to review this excellent addition to the Pevsner series later in the year. The things you see going shopping… I’ve noticed before some of the creative ways that various Co-ops have had with their store fronts, especially wonderful tiled ones from the 1930s. But now and then I come across one of an even earlier vintage, often showing what strikes me often about early shopfronts – that they were built to last in a way alien to most shopfitters and store owners. Here’s an example of what I mean: the Co-op in the middle of Chipping Norton. Down at ground level, you’d hardly notice it. You just see a restrained version of the current local Co-op signage – plus the signs of other shops that occupy the rest of the building. But look up: an almost pristine stone-faced facade of 1890. No expense was spared, by the look of things. The whole front is done out in a kind of Renaissance revival, and when I say ‘Renaissance revival’ I don’t just mean symmetry, a couple of Ionic pilasters and some ball finials. This frontage has all that, but more: a lively frieze running along the top (beneath the balustraded parapet), a triangular pediment full of scrollwork and carved cherubs, another cherub balancing at the top of the pediment. Whoever did the sculpture put a lot of effort in – there are animal heads placed here and there in the frieze, and the cherubs, worn now, look well made. True, the lettering in the roundel saying ‘CO-OPERATIVE SOCIETY LIMITED’ is lacklustre, but you can hardly see it from pavement level anyway. A purist might well say that the decoration on this frontage is rather a hotchpotch – cherubs among reeds sitting on scrollwork…date stone and cherubs and triangles and swags all crowded together. But that hotchpotch is quite close to the spirit of the English Renaissance decoration of the 1500s and 1600s that this building is referencing. It always was a bit of a mash-up, but a charming and lively one for all that. They liked this sort of thing in the Elizabethan period, they liked it in the 1890s, and I like it too. Along the Suffolk coast I noticed them, but they are everywhere in coastal towns in England: houses with bay windows and balconies. The balconies are an obvious asset: a place to sit and enjoy the view if your energy, and the weather, discourage you from making it all the way to the beach. Here at Aldeburgh, on houses only a few yards from the shore, there seems little excuse for them – but people like their own private sitting space, so why not? The bay windows, of course, need no excuse. 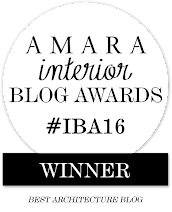 They add another dimension to a room and, above all, they let in extra light. And in England, where the sky is often cloudy, we need as much light as we can get. 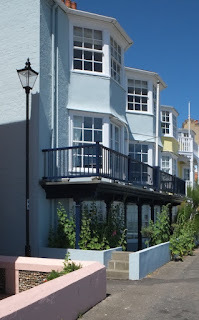 In this location they’re especially effective, and bay windows have been popular in seaside towns since the Regency period – and pretty popular in other places too. * The coast hereabouts runs roughly north-south, meaning that these houses have a view roughly eastwards. That makes them wonderfully sunny in the morning. But with simple flush windows they’d be a bit dingy the rest of the time. The canted bay windows catch the sun as it moves round to the south through the middle of the day admitting more light. You can see where the light is coming from in my picture, taken at around 2 pm on a summer’s day. Add a nice coat of plaster to protect the walls from salt spray and a pastel shade of paint to cheer everything up and you have as good a coastal house as you could want. Just the thing to contemplate before turning one’s gaze eastwards on the endless blue of the sea and sky. * Actually some Tudor buildings, especially grand houses, have them, but they became widely used in the Regency period. 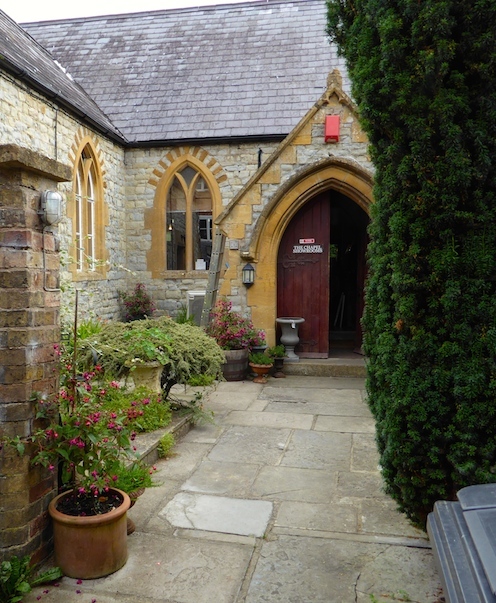 The way I organise my life means that I’m quite often out of the country in September at the time of Heritage Open Days, the weekend when the owners of many historic buildings normally closed to the public throw open their doors and let the rest of us inside. This year has been different, and I’ve been taking the opportunity to take a close look at some of the buildings I’m familiar with as an outsider. One such is the Masonic Hall in Cheltenham, a building with a truly grand exterior combining Roman arches with partly sloping walls in the ancient Egyptian style, that regular readers of this blog may recall from an earlier post. By any standards this is an impressive building. Its architect, George Allen Underwood, had been a pupil of Sir John Soane, and it shows – the classical proportions, the rhythm of niches, columns, and surfaces on this virtually windowless structure, the monumental effect, would have impressed the master. 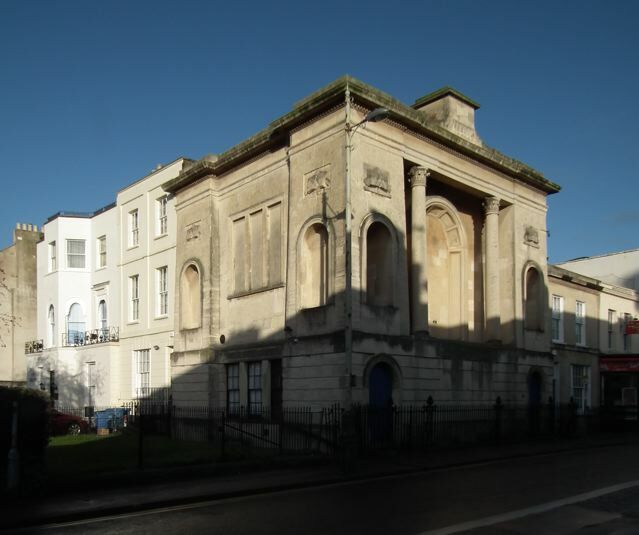 Back in the 1820s, when it was new, the building would have looked even better against a backdrop of trees and greenery – although very close to the town centre it was not hemmed in by shops and houses then. Inside, it is impressive too, but in a different way. Underwood was himself a freemason, so clearly understood what was needed, and delivered. Downstairs, the Dining Room is panelled in dark wood, lightened with painted Gothic arches – it originally had a roof painted to resemble a tent of the Knights Templar, but this has long gone. Upstairs is the Lodge Room, a more ceremonial space, with its elegant furniture (outstanding Chippendale, some of it), boards with lists of Masters of the various lodges, and forest of masonic symbols. † Various parallels have been noticed for these ceiling stars, from designs of the great Prussian architect Karl Friedrich Schinkel to the stars on the underside of the canopy (called ‘the heavens’) in the Shakespearean theatre. § A note on the photograph. One of my photographs, inevitably in the circumstances, shows other visitors to the building. If you recognise yourself here and would rather not have your likeness online, please contact me using the comment button below, and I’ll remove the picture. 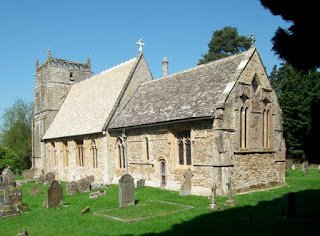 Bredon is in South Worcestershire. The low-lying apple-growing country of Evesham is not far away, but neither are the Cotswold uplands – Bredon Hill is a Cotswold outlier, and shares the limestone geology of the main Cotswold range. It’s not surprising, then, that the Reed Almshouses in Bredon combine the brick of the vale (seen in the walls round the back and the chimneys) with a Cotswold stone front to the courtyard. This stone front, with its mullioned windows, dormers, and shallow arched doorways could be on the Cotswolds – and, with those arches could date from the Tudor period, although in fact it’s a building of the 1690s. But what’s that small freestanding building with the big brick chimney and the interesting little louvre at the top? It had me scratching my head: it doesn’t look like extra flats or houses, it’s too elaborate for a shed, and has too many windows for a dovecote. It turns out to be a laundry, built in 1871, by Bodley and Garner, no less, when they restored the almshouses. George Frederick Bodley was one of the greatest Victorian architects, known especially for fine Gothic Revival churches. He had a long working life, a lot of it in partnership with Thomas Garner. They designed churches, buildings in Oxford and Cambridge, and country houses. but clearly did not spurn smaller jobs. I don’t know if the laundry is still used for its original function, but it’s an attractive and practical addition, a tribute to the almshouse authorities, who seem to have wanted to provide the residents with convenient facilities as well as a pleasing environment. A nice example of a small structure acting as a memorable focus – both to the building it serves and to the street as a whole. Just out of the town centre of Ilminster is one of the few hints that’s there’s a big house close by: a pair of hexagonal gate lodges next to some stone gate piers. My photograph shows the right-hand lodge, which was catching the sun, warming up its local limestone walls and bringing out their slight orangey tinge here and there. This is a building of the early-19th century, and guards one of the drives to Dillington House, a building originally of the 16th and 17th centuries that was hugely altered by Sir James Pennethorne in 1837. Dillington now hosts educational courses on all sorts of enticing subjects – as it happens I was teaching one of these courses last week, which is how I came to be here. The lodges may well be of the same date as the Pennethorne remodelling of the main house. They are in the simplified Gothic style of the time – pointed openings, Y-shaped tracery to the windows, small battlements on top – that does very nicely for a small gate lodge. Buildings like this quite often came in odd shapes – circular, octagonal, or hexagonal – to catch the eye, to catch the sun, and perhaps sometimes because the design allowed the person inside to have a view in more than one direction, so that they could keep an eye on comings and goings. However there’s an added twist to this building. The windows have the patterned glazing bars so popular in estate buildings in this period, but the window immediately above the door is a false one. There’s no glass there at all, just a stone impression of a window, to be decorative, with the glazing bars painted on to the masonry. A bit of trickery to remind us, I think, that this little lodge is as much as anything else a bit of architectural fun. Egged on by my reading of the recent Historic England book on Coventry,* I wanted to use my visit to the city to have a look at something I’d missed before, the concrete mural (actually an entire structural wall playing the additional role of public sculpture) outside the former Three Tuns pub in the city centre. I came away glad I’d done so, and full of admiration for its creator, the sculptor William Mitchell. Mitchell was in the forefront of finding new ways of casting concrete for sculptures, including the use of polystyrene and polyurethane moulds. He worked widely and closely with architects, notably in new town developments such as Harlow, for the London County Council, and on new buildings in places such as the Barbican in London. For this mural in Coventry, Mitchell employed polystyrene sheet cut with hot wire set against the shuttering before the concrete was poured. The concrete incorporates pebble aggregate and was cast in one piece, with rectangular spaces left for the window openings. The forms Mitchell created in the Coventry mural (made in 1966) are bold and abstract – and I think they work well as a succession of engaging abstract forms. But they also suggest all kinds of possible visual interpretations. People have seen in them the sun and its rays, mechanical components such as gear wheels, or bits of a city viewed from above. The mural’s listing refers to the sculpture as an example of Mitchell’s Aztec style and it certainly does have a Meso-American feel to it, although I don’t know whether the artist saw it in those terms. Looking at it took me back to an evening years ago at an exhibition of mostly abstract paintings by an artist friend. Standing next to me was a middle-aged woman with a small girl, perhaps her granddaughter or niece. Together they were imagining the trees, rivers, and animals that they could imagine in these works of art. I quickly dismissed from my mind any thought that this was a rather naive way of looking at abstract painting – these things were there sure enough, if one applied a little thought to them. I feel rather the same about these William Mitchell murals – you can look at them on more than one level, and that’s a sign the artist is on to something, especially when it’s public art, and bound to be seen by anyone and everyone. 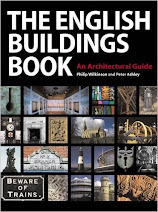 Published by Historic England; see my review here. †I’ve mentioned this idea of hierarchy in terms of building materials a few times in blog posts; the notion won’t go away. ¶Mitchell continued to make concrete works into the 1970s, and helped develop a special formula, called Faircrete, that would hold relief patterns drawn into it while also setting very hard. However, by the mid-1970s British architects had turned away from his style and he worked increasingly abroad. The 1990s saw him involved with various projects for Harrods owner Mohammed Al Fayed. §Those still not convinced might prefer to look at my recent post about a Georgian building in Coventry, here. This small structure is a drinking fountain, just opposite St Pancras Old Church Gardens, where I visited the mausoleum of Sir John Soane many moons ago. It’s the sort of street furniture that’s easy to miss and it’s hardly big enough to be a building. But it’s certainly architectural: a quintet of slender classical columns set on a drum and supporting a shallow dome topped with a putto (a cherub if you like) holding an urn. This little bit of classical elegance was donated to the church in 1877 by William Thornton, Church Warden. It was one of the many bits of Victorian architecture made of cast iron, this time by Andrew Handyside of Derby, a company who produced everything you could make from iron, from railway components to ornamental vases. The design, incidentally, is based on one of the go-to structures for architects who wanted to base their buildings on the ruins of Athens: the 4th-century BC Choragic Monument of Lysicrates. 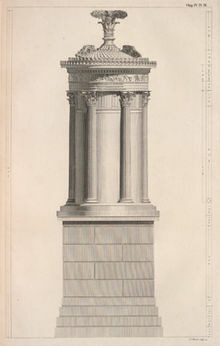 * It’s by no means an exact copy – Lysicrates’ monument has a square base, and is filled in behind the columns. But the proportions, the encircling group of columns and the shallow dome are all there in both structures. It’s close enough for classicists to nod, or to shake their heads depending on how purist they are. Athenian classicism in cast iron: a very Victorian mix of ancient and modern, and of art and industry. *Choragic, from choregos, one who paid for and trained the dance-chorus in ancient Greek drama; Lysicrates was a patron of musical performances.